Damn. I thought it wasn’t possible for me to love anything more than the last effort from Planes on Paper, the live recording of The East End Session. But the truth is, I can’t stand how ridiculously beautiful this new EP is, another short and achingly sweet journey that still manages to cover an ample amount of musical ground. The Ruins features three beautifully crafted pieces of songwriting that are only upstaged by a vocal performance that cuts deeply into an emotional well I was moderately unprepared for. Getting reacquainted with the captured magic that exists between duo Jen Borst and Navid Eliot feels like welcoming old friends back after an absence. There is still a potency within the songs they sing together, a synergy between every breath and note they share. But when you take a moment and listen closely to these two as individuals, you hear the clear, plaintive and unusual charm in Borst’s voice and the equally dynamic, unique tone of Eliot. Separately, they both have a wonderful gift for lending character to their words; together, they blend into each other with a fluid ease that manages to soar even higher. Another nice touch is the addition of a full band for this record. This instrumentation is smartly arranged around and underneath the vocals bringing a wholeness and finish to each track. “Monolithia” is a wonderfully balanced introduction to the theme that runs through The Ruins, that of rebuilding and reassessing in the wake of perspective. This opens up a huge well of creativity for both the writing and performance piece of these songs. This first track finds its balance within the instrumentation and vocal lines. When the stunning “Iron Boat” moves in, the dark, dreamy and completely consuming musicality hits a fever pitch. I keep coming back to this song, and find that the fullness and ferocity of it provide a glimpse into what I hope future records capitalize on even further. 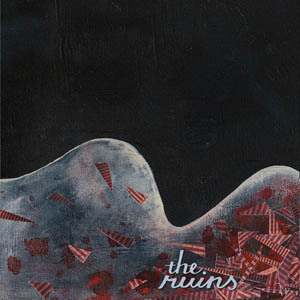 “The Ruins” moves back into a more scaled-back balance between those flawless vocals and lyricism that continues to weave that theme of rebuilding back into the forefront. It is a natural conclusion to the very concise and thoughtful emotional journey of this record. I have listened to the songs on The Ruins so many times now and the intricacies of the harmonies, the quiet moments, and the passion of each performance never ever get old. This is music that continues to show its depth and variation with each play. 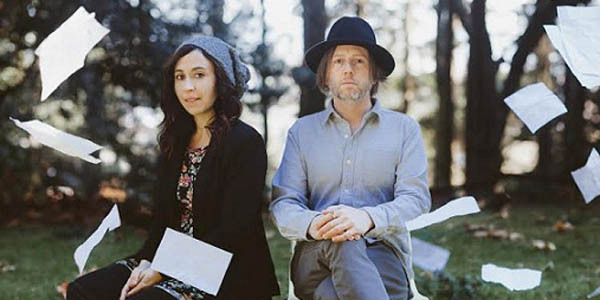 To classify this as a folky, sit-around-the-campfire kind of duo would be a mistake; they are hinting at something even more ambitious in the future. For now, however, there is absolutely nothing wrong with allowing yourself to fall helplessly under the spell of Planes on Paper and their bewitching vocal charms.